Republicans and Democrats agree: our community is safer because Mark Lindquist is our Prosecutor. 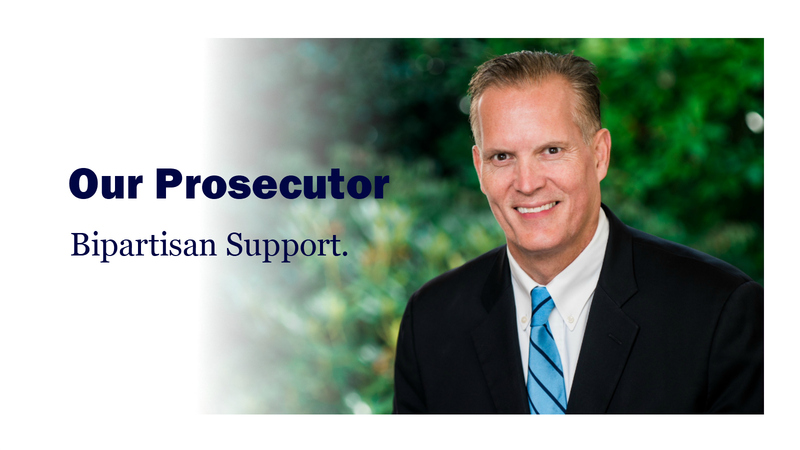 Former Governor Dan Evans (R) and current Governor Jay Inslee (D) have both endorsed our Prosecutor. So has Secretary of State Kim Wyman (R) and former Lt. Governor Brad Owen (D). In Puyallup, our Prosecutor Mark Lindquist is endorsed by State Senator Hans Zeiger, a Republican, as well as former State Representative Dawn Morrell, a Democrat. They once ran against each other, but they are united in caring about the safety of our community and supporting our Prosecutor. In Gig Harbor, our Prosecutor is endorsed by former County Council Member Terry Lee, a Republican, as well as current County Council Member Derek Young, a Democrat. In south Pierce County, all three Republican Legislators endorsed our Prosecutor, Senator Randi Becker, Representatives JT Wilcox and Jim McCune. So did former State Senator Marilyn Rasmussen, a Democrat. In Lakewood, our Prosecutor is endorsed by Deputy Mayor Jason Whalen, a Republican, as well as Lakewood Council Member Mary Moss, a Democrat. All over Pierce County, there is bipartisan agreement on this: our communities are safer because Mark Lindquist is our Prosecutor. Mark is also endorsed by the Washington State Council of Firefighters, the Washington State Patrol Troopers Association, the Pierce County Central Labor Council, the Tacoma Education Association, and more. Please see the full list of more than 500 bipartisan endorsements by organizations, public servants, and community leaders who agree we need to keep our Prosecutor and keep our community safe. Feel free to add your name and join our team, thank you.